WIT has delivered nurse education programmes since the 1970s. Initially it provided programmes at certificate level and from the mid 1990s at diploma level. In the year 2002, the Department of Nursing & Health Care was established at WIT as part of the broad expansion and integration of undergraduate pre-registration nurse education into the third level sector in Ireland. 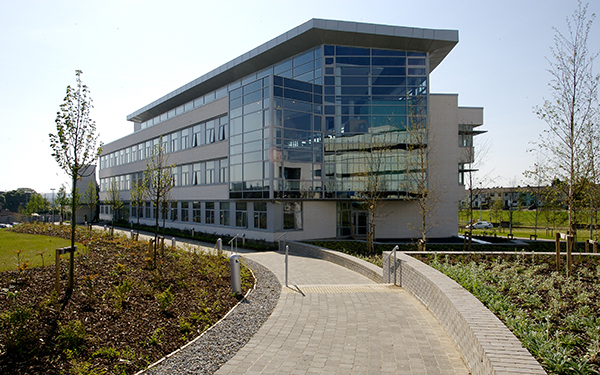 In 2005, it transferred to a new School of Health Sciences & Health Care and moved into its own purpose built building on WIT’s Cork Road campus. This was accomplished in collaboration with the Department of Health, the Health Service Executive and a range of non-statutory health care providers. In 2010, the then Minister for Health and Children, Ms Mary Harney, TD, came to open and name the nursing building at Waterford Institute of Technology. The building is named after Mary O’Connell Bianconi, MM (1896-1968), a native of Cashel in County Tipperary and one of only seven women nurses (First Aid Nursing Yeomanry) to be awarded the Military Medal in the First World War by the British in 1918, for her courage under fire whilst ferrying wounded soldiers from the front during one particularly heavy German bombardment. She led an extraordinary life both before the outbreak of the Great War and afterwards, being a dynamic individual, often ahead of her time and unafraid to take on new challenges. She epitomises the philosophy and dynamism of the Department. If you want to learn more about this extraordinary woman then click here.